Elizabeth Goudge was born in the cathedral city of Wells. Elizabeth attended Grassendale School and studied art at University College Reading. She went on to teach design and handicrafts in Ely and Oxford. She was a best-selling author in both the UK and the USA from the 1930s through the 1970s. 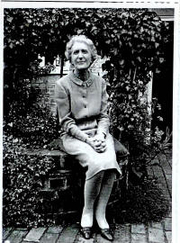 After her mother's death in 1951, Elizabeth Goudge moved to a cottage on Peppard Common, just outside Henley-on-Thames, where she lived for the last 30 years of her life. Elizabeth Goudge is currently considered a "single author." If one or more works are by a distinct, homonymous authors, go ahead and split the author. Elizabeth Goudge is composed of 12 names. You can examine and separate out names.